Income tax is often the largest cost item in an international assignment. An accurate determination of hypothetical and gross-up taxes is essential to the design of equitable expatriate compensation packages. It is particularly important to determine employees’ contributions to their worldwide tax obligations. 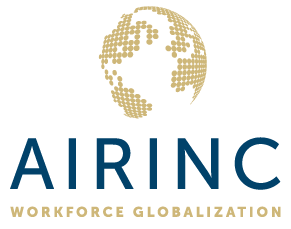 This is the first of a three-part webinar series brought to you by Global Tax Network and AIRINC. A country’s right to taxation. Where does it start? Note: CRP/GMS credit approval pending. Click here to register for part one and scroll down to register for parts two and three. If the date or time doesn't work with your schedule, please register anyway and you'll receive a link to the recordings once the sessions are complete. Global Tax Network (GTN) is a mobility tax services firm focusing exclusively on global tax consulting and compliance. We help mobility program managers, HR managers, and mobile employees, navigate tax situations and manage risks that arise within global mobility programs. Our scope includes providing support for expatriates, foreign nationals, business travelers, and permanent transfers, so whether you are new to the world of mobility tax—as a mobility program manager or individual business traveler—or searching for a team to take it completely off your plate, our specialists are dedicated to helping you navigate the mobility tax landscape with confidence.